I wanted to share this today. I know it's not the usual type of thing we post on here on Bubby and Bean, and maybe it doesn't really match our visual style or feel cohesive with the type of photos we normally share, and maybe that breaks of the rules of a design-focused blog - but that's okay because it's important. My friend Alyson shared it on her Instagram Stories last week, and it was such a great reminder for me. Whether you have children or not, I feel like it's a positive thing to read and remember. The author/artist, SARK, actually helped me through a very dark time in my life several years ago. It was right before I started this blog, actually. My mom had a bunch of her books, and I borrowed all of them, and read them, night after night. I needed the positivity and I needed the creative inspiration. I haven't read anything of her's in years, but the reminder you see above came at exactly the right time. Being a parent is hard. Emmett just turned 21 months and is fully in the terrible 2's already, and it can be very, very difficult when he has tantrums. And Essley, who will be 4 in 3 months, has been going through a burst of independence where she challenges everything. Life has been full around here over this past month on top of that - we are in the middle of buying a house and also helping my mom move out of her home that she shared with my stepdad who passed away earlier this year, my stepmom just had major surgery for ovarian cancer, my workload has been much greater than I'm used to, and the world in general has been heavy. Lately I've caught myself snapping at my kids and losing patience easily. Sometimes I forget that they're just kids you guys. I really do. But they are just kids. They're little people with rapidly developing brains and poor emotional control who are trying to navigate a huge world. There are so many rules - for both the kids and their parents. I think it's good to remember to relax a little, and just love them. Really love them. 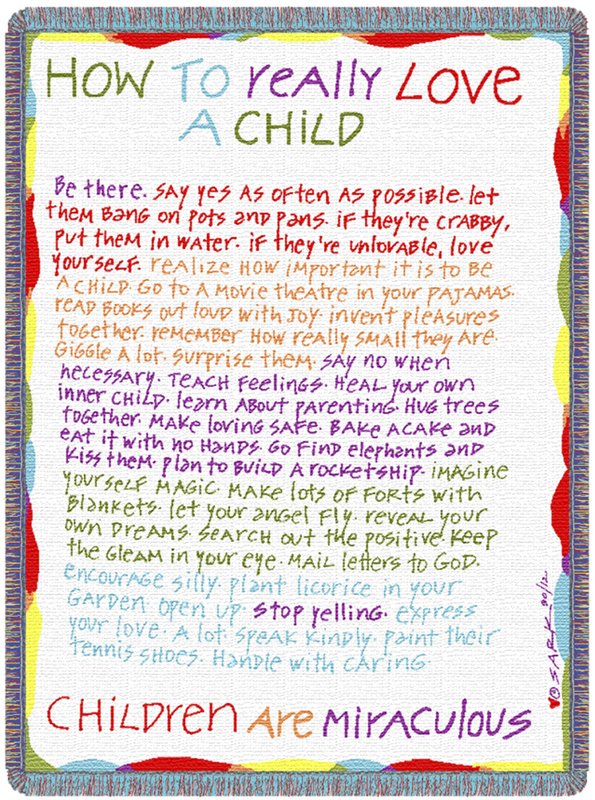 Even if you aren't a parent, do these things anyway! Do them with a child you care about, or yourself, or a friend, or a pet. Fun and lightheartedness and love are always good ideas. Thanks for letting me pop in like this and just share my thoughts sometimes. You guys are the best. Thank you so much for sharing this with me! I really needed to hear this! A beautiful reminder - thank you for sharing! Sending love x.